All Ages - Children under 18yrs can attend for FREE! The Coffee Experience is Sydney’s most inclusive coffee show, catering to the entire coffee industry! From September 3 – 5, the Royal Halls of Industries, Moore Park will be filled with a mix of sweet smells from over 80 Australian coffee and tea industry exhibitors. Also on show will be a range of premium café equipment and machinery, the latest in coffee gadgets and technology, innovative products and plenty of coffee to sample. For the first time ever, The Coffee Experience will host the DaVinci Gourmet Australian Coffee Chain Championships, as well as Franchise and Business Forums designed for the café franchise industry. Visitors can watch Australia’s best baristas battle-it-out on stage during the ASCA NSW/ACT Regional Coffee Championships. This will include the NSW/ACT Barista Championship, NSW/ACT Pura Latte Art Championship, NSW/ACT Brewers Cup competition, NSW/ACT Coffee In Good Spirits and NSW/ACT Huhtamaki Cup Tasters Championship. The Coffee Experience will also host Specialty Coffee Association of America (SCAA) educational classes to those wanting to learn more about coffee making. 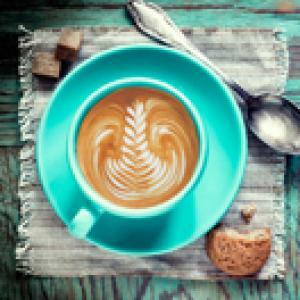 Come and over-indulge in Sydney’s best coffee, tea and other yummy treats! © 2019 Ticketbooth on behalf of Prime Creative Media. All sales are final. Tickets are non-refundable.